Apple's "Project Titan" has indeed scaled back to focus on self-driving technology —specifically giving it the opportunity to either partner with existing automaker or return to developing its own car later on, a report said on Monday. Hundreds of people on the Titan team have either left on their own, or been reassigned or cut, sources told Bloomberg. The remaining staff have allegedly been given a late 2017 deadline to prove the practicality of the self-driving technology, at which point the company is expected to decide on a final direction. The company has reportedly been keeping the remaining Titan team's numbers steady though, hiring people to support the new track. 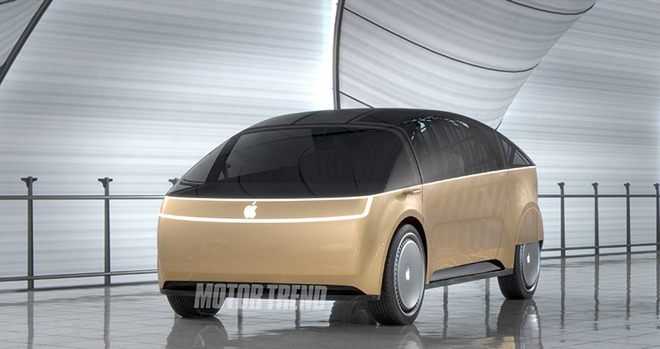 Initially Project Titan was rumored to involve an Apple-made electric car delivered by 2019 or 2020. Towards the end of 2015 however the program experienced "an incredible failure of leadership," according to one source, in which managers fought over where Titan was going. Project leader Steve Zadesky left earlier this year. From there, Zadesky is said to have handed control to senior VP of Hardware Engineering Dan Riccio, and then Bob Mansfield, who in April came out of part-time status to help. In May Mansfield is said to have announced the new Titan strategy "in a Silicon Valley auditorium packed with hundreds of Titan employees," according to Bloomberg, explaining that after an evaluation, he decided Apple shouldn't compete directly with Tesla, which already has several electric cars on the market and is working steadily towards full self-driving systems. 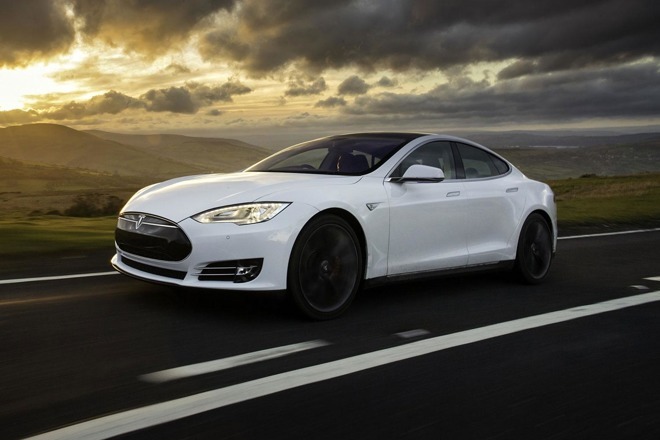 Tesla's Model S, which has some limited self-driving functions. The first round of layoffs is said to have hit in August, followed by another in September. Over 120 software engineers working on a car OS and testing procedures were tossed, and several hundred hardware engineers working on things like a chassis, suspension, and an undercarriage vanished. John Wright —an experienced Apple manager who led software efforts —is now gone, while Dan Dodge, the creator of BlackBerry's QNX car platform, assumed a bigger role in developing Apple's platform architecture. The people still on Titan are said to be crafting not just self-driving code but sensors and simulators for real-world testing. Regulatory experts are onboard to cope with laws governing the car industry. The original vision for Titan was supposedly a car that would detect its driver via fingerprint and then drive them anywhere. At one point the company was considering a partially autonomous car that still had a steering wheel and pedals, but plans eventually became more ambitious. Another factor that may have pulled Apple away from its own car is the automotive supply chain, one source said. While Apple is used to being able to extert heavy control over suppliers for devices like the iPhone, the company may have discovered that auto parts makers would be less eager to commit to an Apple vehicle, given the deeper expenses involved, and Apple likely producing vehicles in small initial numbers.